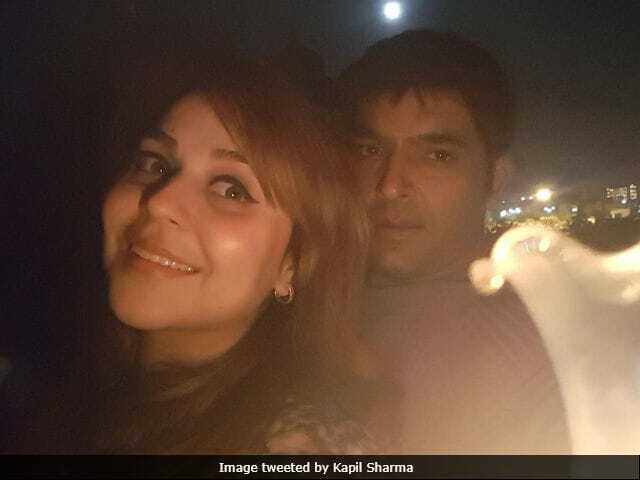 A source close to Kapil Sharma said that one of his female co-stars, "has been working against Kapil's interests all the time"
Kapil Sharma and his fiancee Ginni Chatrath have reportedly parted ways. Weeks after Sony pulled the plug on Kapil Sharma's show (temporarily, though) reports of his break-up with Ginni Chatrath featured in headlines. Speaking to DNA, a source close to the comedian said that one of Kapil's female co-stars is to be blamed for the break-up. "This team member has been working against Kapil's interests all the time. But he refuses to hear a word against her. He is so emotional that he won't accept that someone so close to him can betray him and work against his interests," DNA quoted a source as saying. The source also said that Kapil was also linked to his co-star previously. "When rumours linking Kapil to this team member - spread by the team member herself - gathered momentum, Kapil thwarted those rumours by announcing his marriage plans with Ginni. Now even that is off. This team member makes sure to isolate Kapil and everyone who comes close to him," the source said. Last week, Kapil Sharma talked about the recent controversies regarding his show, his health and fight with former co-star Sunil Grover. He told Bollywood Hungama: "Main thoda phisal gaya ttha. Abb sambhal gaya hoon (I slipped now I've regained composure)." Of his fight with Sunil Grover, Kapil said that most of the stories (which DNA's source claimed was ousted by the Kapil's aforementioned co-star) were 'grossly exaggerated.' He said: "I admit there was a problem. And I've paid a heavy price for it." Kapil Sharma debuted in Bollywood in 2015's Kis Kis Ko Pyaar Karoon and his second film Firangi is scheduled for release in November.